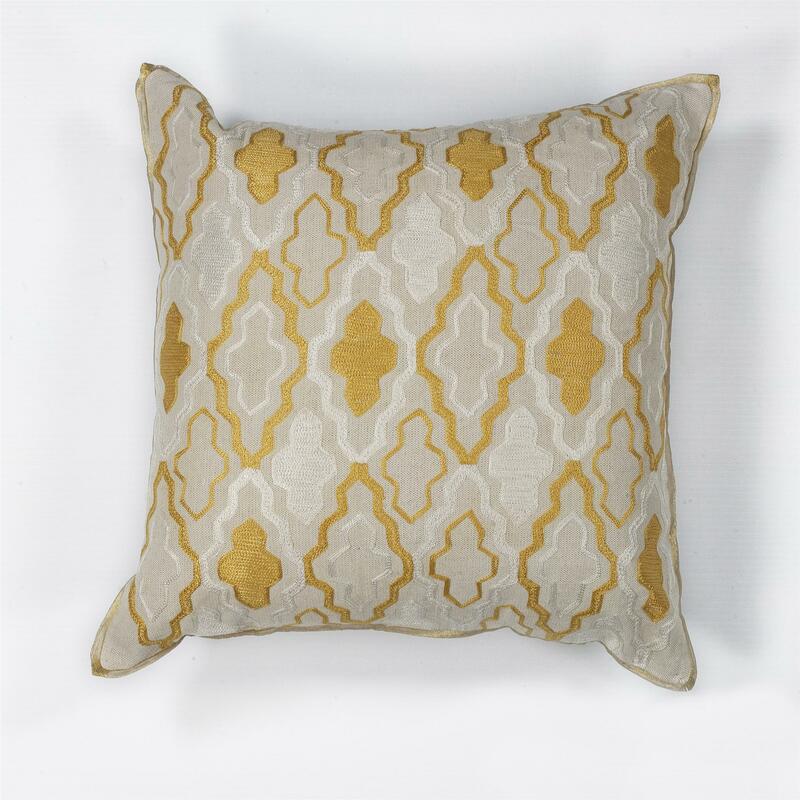 L132 Ivory/Yellow Groove 18" x 18" Square Pillow. Hand-Made of 100% Cotton Chambray with Embroidery with Polyester Fiber Filling. Made in India. Spot Clean Only with Mild Detergent and Water. Test a small area first.